January 30th 1974: Keel struck. 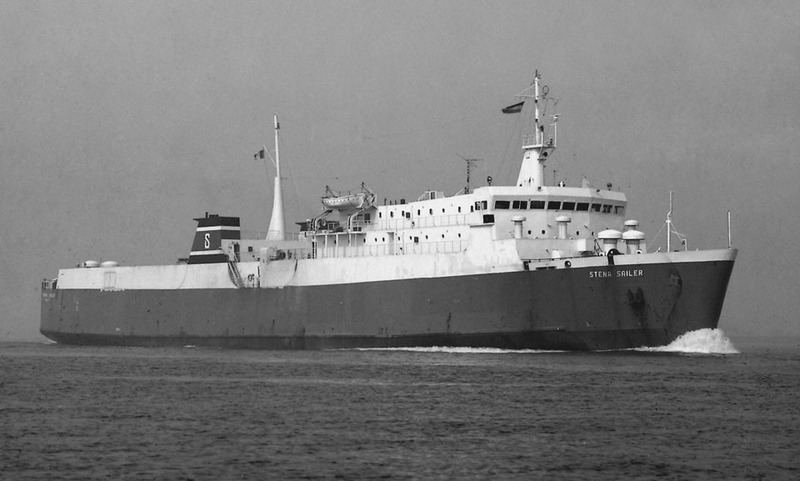 January 4th 1975: Delivered to Allied Irish Bank Ltd, (British & Irish Steam Packet Co.) Dublin, Ireland for services on the Irish Sea. 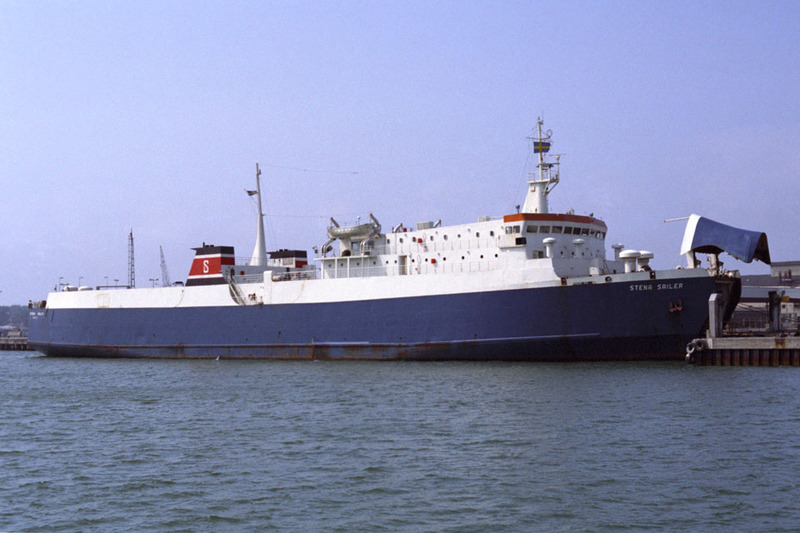 1979 – 1980: Chartered to Ab Göteborgs – Frederikshavns Line, Göteborg. Operated services between Gothenburg – Travemünde. July 1980 – August 18th 1980: Chartered to Sealink U.K. Ltd. Operated services between Dieppe – Newhaven to assist as cover for the fire damaged SENLAC. August 1980: Laid up in Liverpool. 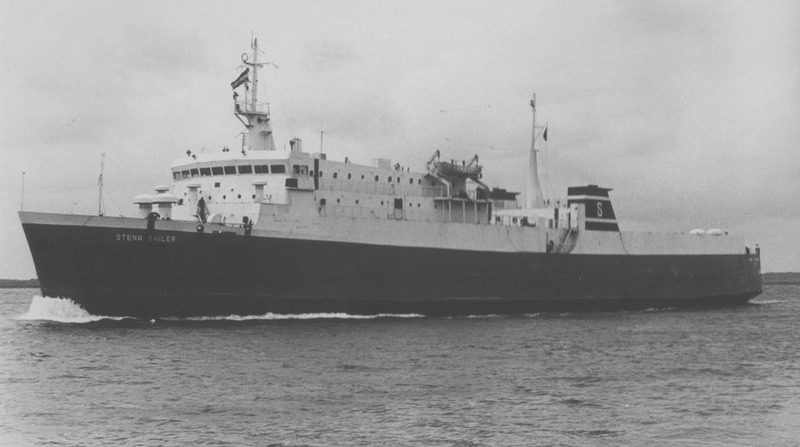 December 1980: Sold to Stena Line Ab, Göteborg and renamed STENA SAILER. 1981: Commenced service between Gothenburg – Kiel. August 8th 1981: Left Hamburg for Ceuta. 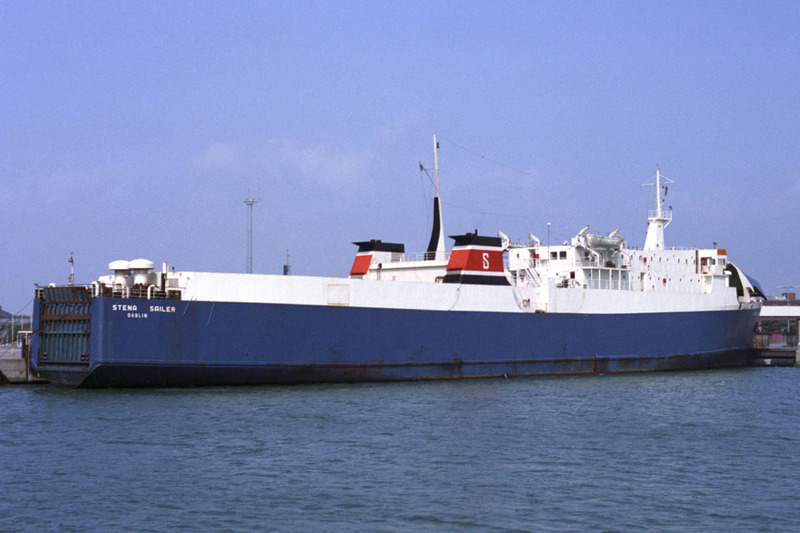 January 1982 – June 1982: Chartered to Sealink U.K. Ltd. Operated between Hoek Van Holland – Harwich. 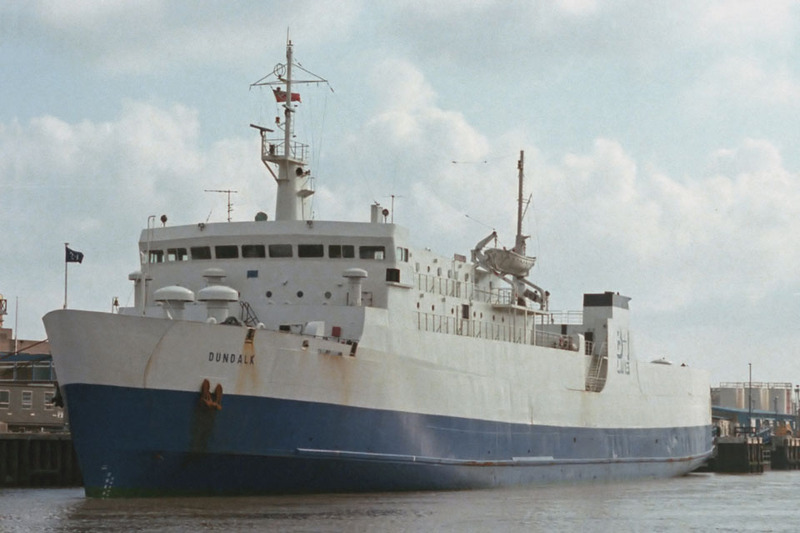 October 28th 1982 – December 17th 1982: Chartered to North Sea Ferries B.V., Rozenburg. Commenced service between Zeebrügge – Hull. 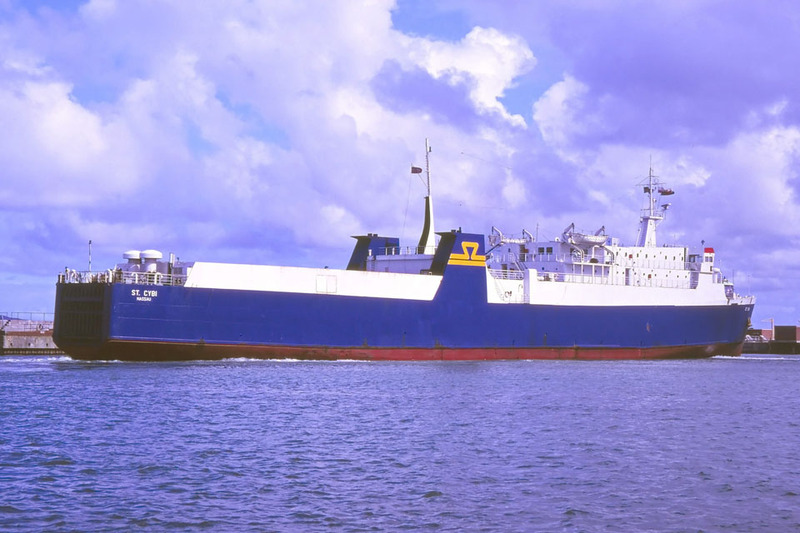 1982: Transferred to Stena Caribbean Line Ltd, Nassau, Bahamas. 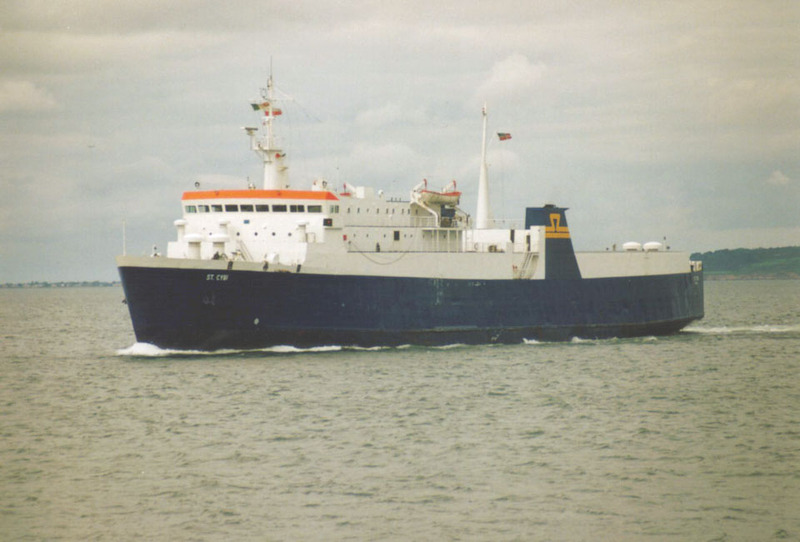 January 13th 1983 – April 1st 1983: Chartered to North Sea Ferries B.V., Rozenburg. Operated between Zeebrügge – Hull. 1983: Chartered to Isle of Man Steam Packet Co for a short time. Operated between Douglas – Heysham. 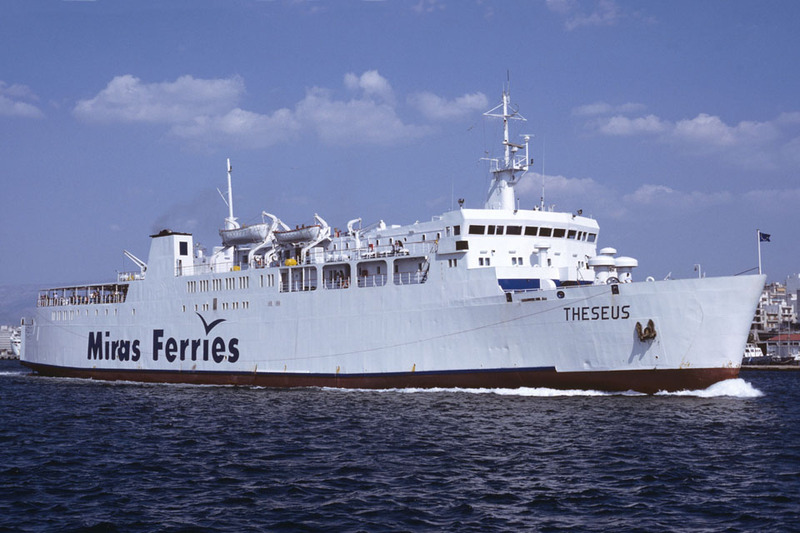 November 2nd 1983 – November 15th 1983: Operated between Gothenburg – Travemünde. 1984: Transferred to Stena Caribbean Line Ltd, Kingstown, Cayman Island. 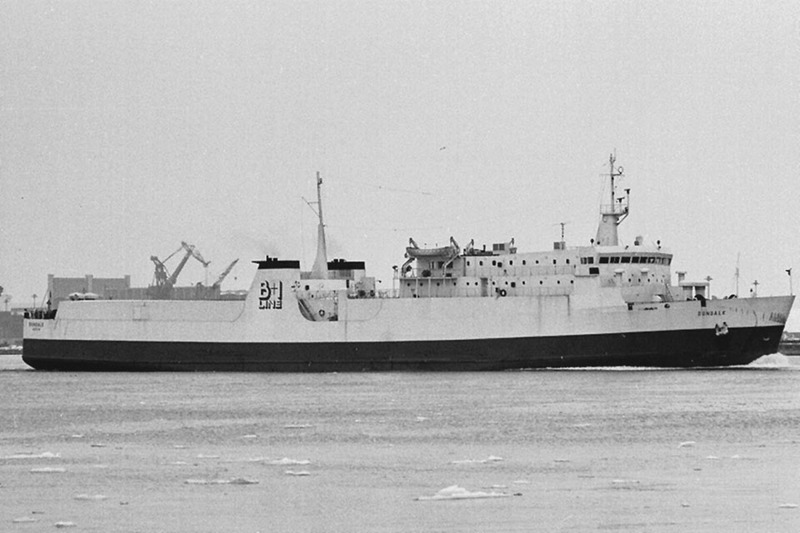 1984: Chartered to Belfast Freight Ferries. Commenced service between Belfast – Heysham. September 18th 1985: Laid up in the Fal. August 22nd 1986: Laid up in Falmouth. 1987: Plans for her to operate for Lion Ferry, under the name LION SAILER never materialised. 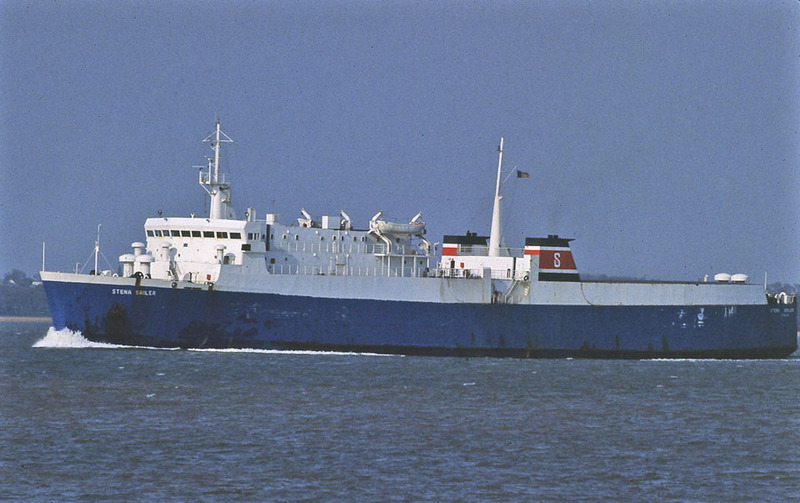 March 1987: Chartered to Sealink British Ferries, Ashford. 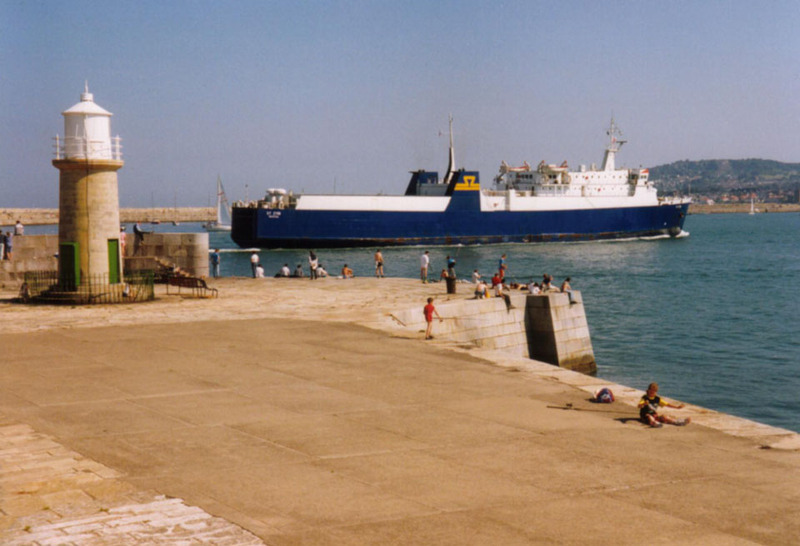 Commenced service between Holyhead – Dun Laoghaire. 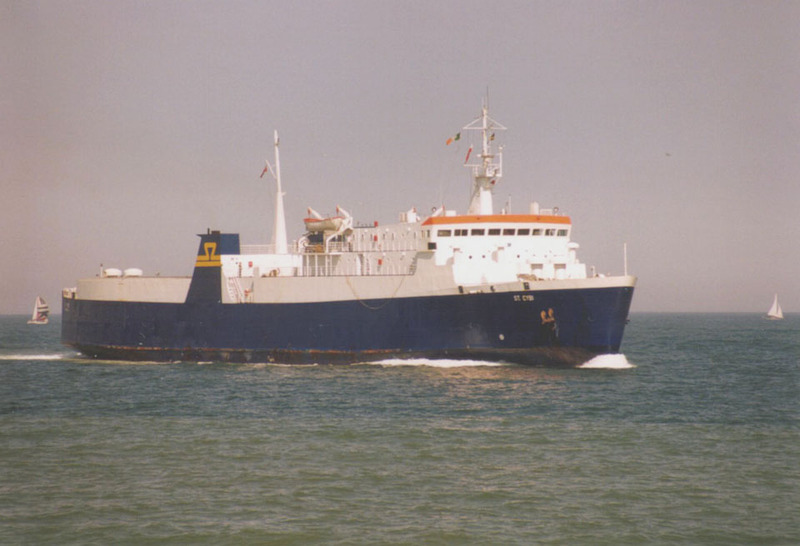 August 1987: Commenced service between Fishguard – Rosslare. 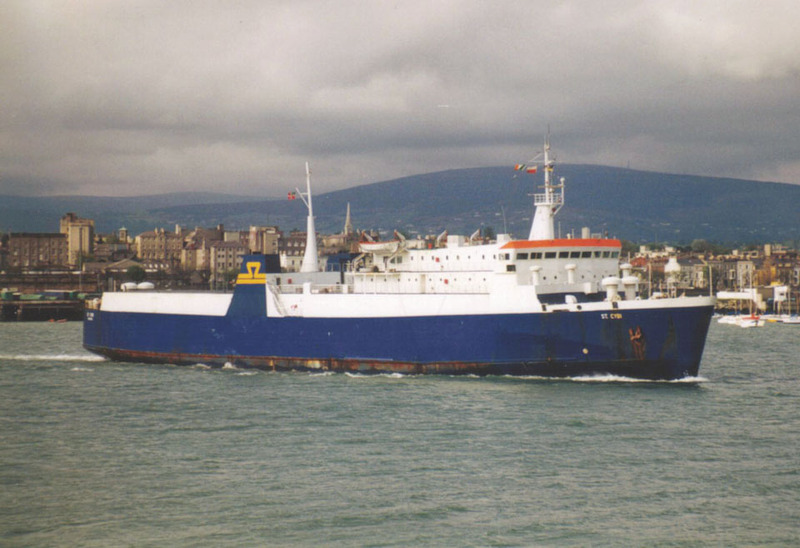 September 1988: Commenced service between Holyhead – Dun Laoghaire. 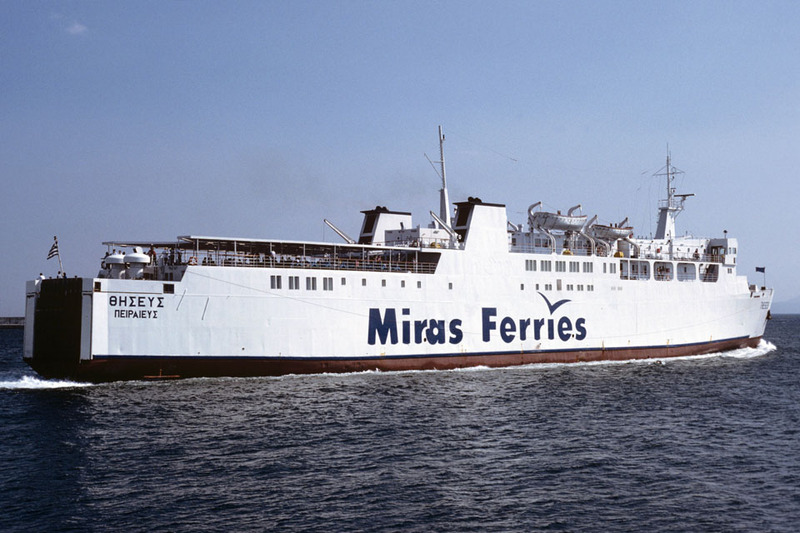 1988: Sold to Sealink UK (Sealink British Ferries). Renamed ST CYBI. 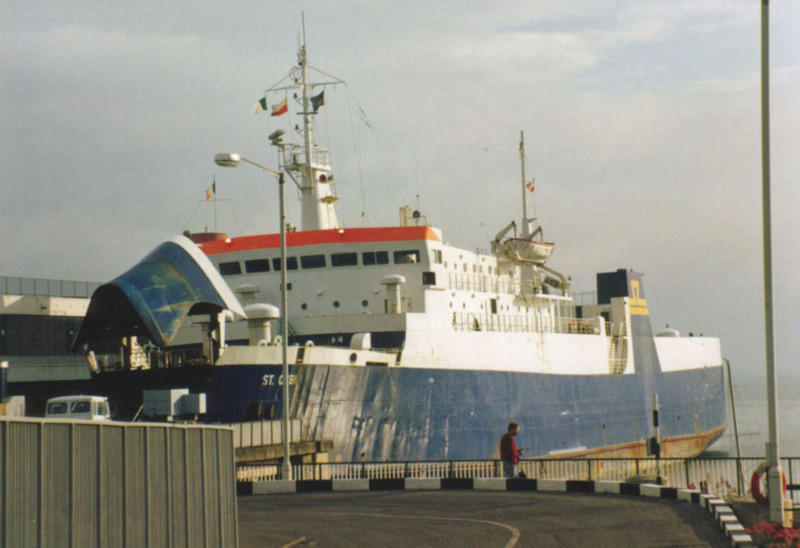 1988: Operated as a night ferry between Holyhead – Dun Laoghaire. 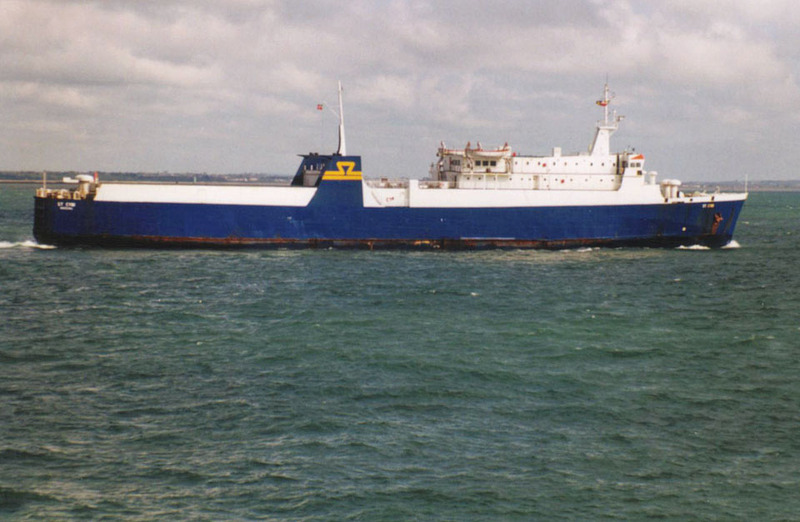 1990: Sea Containers sold Sealink UK (Sealink British Ferries) to Stena Ab, Göteborg. September 7th 1991: Laid up in Milford Haven. 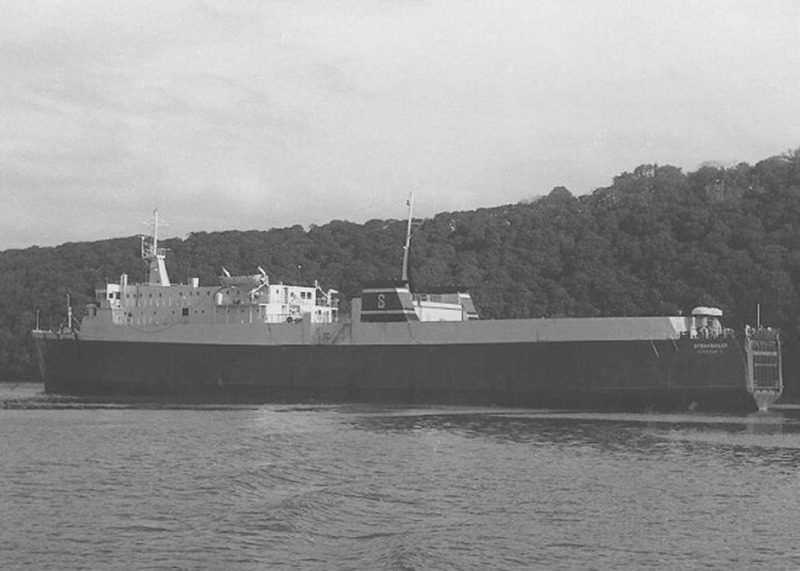 December 1991: Sold to Wind Ltd, Gibraltar. Renamed WIND CYBI. February 1992: Sold to Olympia II Naftiki, Eteria, Greece. Left Milford Haven for Piraeus. Renamed THESEUS. 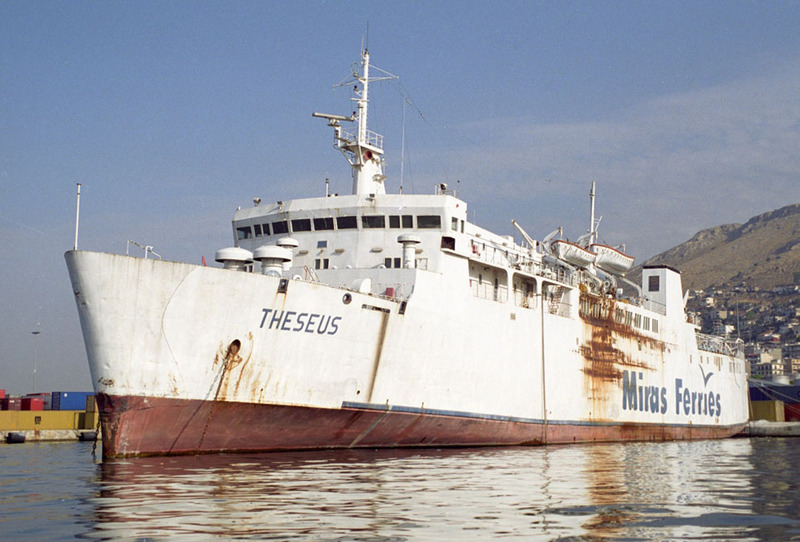 March 3rd 1992: Arrived at Piraeus then to Perama yard for rebuilding to car and passenger ferry. August 10th 1993: Redelivered after rebuild. 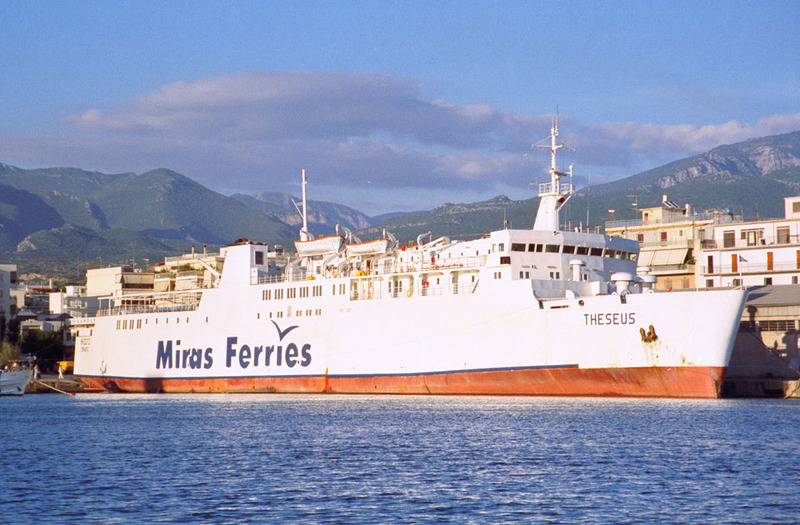 August 1993: Commenced service for Miras Ferries, Piraeus, Greece operating between Piraeus – Peloponnese – Crete. July 2001: Laid up in Keratsini. 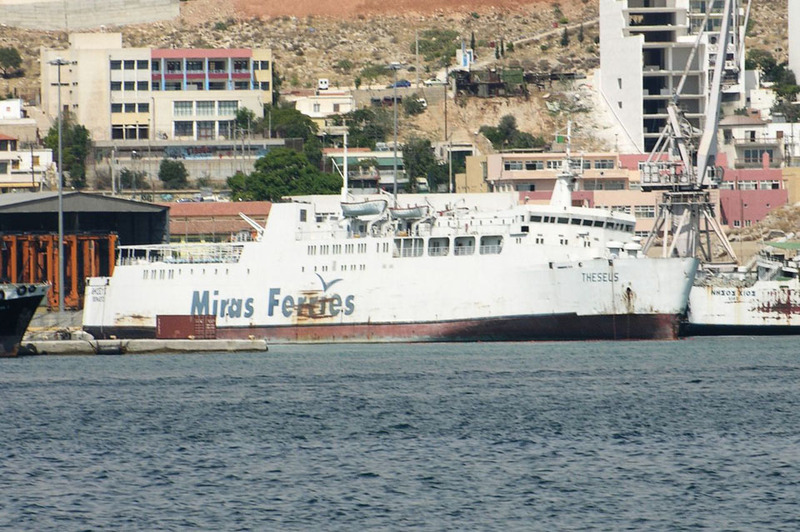 April 2006: Continued to be laid up beside NISSOS CHIOS. May 2006: Sold to Turkish shipbreakers. 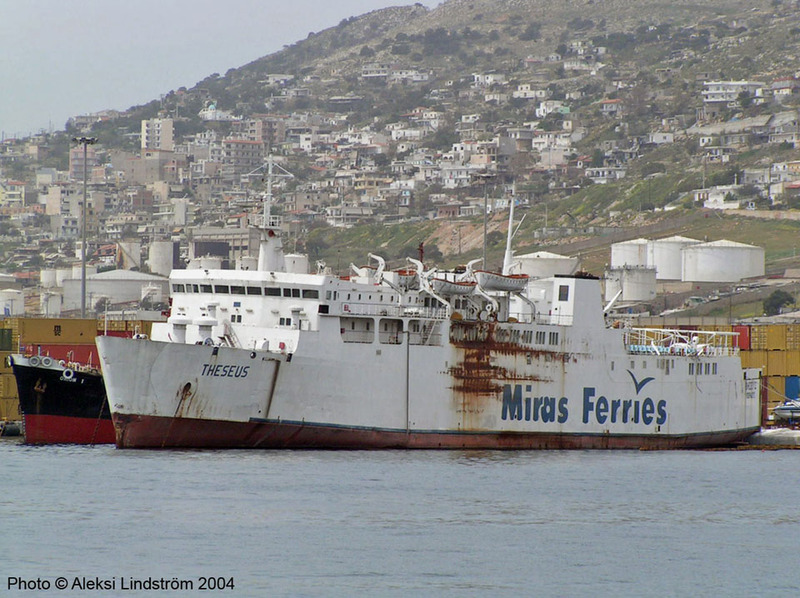 May 27th 2006: Towed from Drapetsona to Aliaga, Turkey. May 29th 2006: Arrived Ege Sokum A.S. Aliaga for scrapping. All information is believed to be correct and no responsibility is accepted for any errors or omissions. All items included in this article are subject to © copyright. We would like to take this opportunity of thanking: Aubrey Dale, Carsten Dettmer, Gerolf Drebes, Peter J Fitzpatrick, Mike Griffiths, Frank Heine, Aleksi Lindström, Gary Markham, Derek Sands, Simonwp and Andreas Wörteler for their assistance in producing this feature.